Update: Nest has posted a very helpful Q&A about what will become of Nest after the acquisition, and things like iOS compatibility. Check out the full statement here, and see the pasted Q&A section below. Also, you can red CEO Tony Fadell's statement on Nest's blog, right here. Will Nest continue to support iOS so I can have the Nest app on my iPhone or iPad? Yes, absolutely. We’ll continue supporting iOS, Android and modern web browsers so you can check in on your home and control the temperature from wherever you are. What will happen to the Nest warranties on products? No change there – we stand behind our products like we always have. Will I still be able to find Nest products at my local retailer? You bet. We intend to continue selling through the same partners in the US, Canada and the UK. When Google's still-in-progress home energy manager EnergySense leaked last month, many wondered just who would partner with the company on the hardware side. After all, Google isn't exactly known for its HVAC prowess. 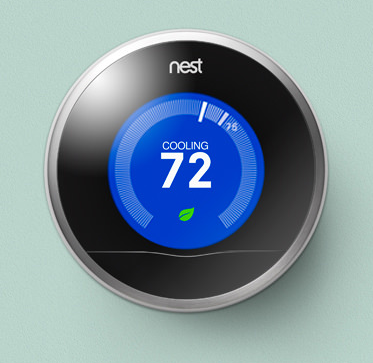 It looks like we just found out: Google has purchased Nest Labs, makers of the critically-acclaimed Nest Thermostat. The price? A cool $3.2 billion, or about 3.2 Instagrams for those of you playing at home. A press release on Google's investor site details the purchase, including a mention that Google will not merge the Nest brand into the Google product machine. Rather, CEO Tony Fadell will continue to operate the company under the Nest name, which very likely means that there are plenty of Nest-branded products to come. More than anything, the buyout is probably an integration / investment move - Nest's upcoming releases will almost definitely feature deep integration with Google's own services (command your thermostat from Google Now, anyone? ), which should make for some pretty exciting possibilities. MOUNTAIN VIEW, CA – JANUARY 13, 2014 — Google Inc. (NASDAQ: GOOG) announced today that it has entered into an agreement to buy Nest Labs, Inc. for $3.2 billion in cash. Nest’s mission is to reinvent unloved but important devices in the home such as thermostats and smoke alarms. Since its launch in 2011, the Nest Learning Thermostat has been a consistent best seller--and the recently launched Protect (Smoke + CO Alarm) has had rave reviews. Nest will continue to operate under the leadership of Tony Fadell and with its own distinct brand identity. The transaction is subject to customary closing conditions, including the receipt of regulatory approvals in the US. It is expected to close in the next few months.